Why is there no Exit 43 on the Merritt Parkway? There is no Exit 43 on the Merritt Parkway. If you forget to get off at Exit 42, you have two choices: make an illegal u-turn across the median, if you dare, or go the five-and-a-half miles to Exit 44 and track back. They call that stretch “No Man’s Land.” It may be the longest stretch of highway in the state without an exit. If you’ve ever wondered why there is no Exit 43, why that “No Man’s Land” has been allowed to exist, you’re actually asking yourself the wrong question. Instead, ask yourself this: Why is the Sherwood Island Connector a four-lane highway? If you’re heading North and get off I-95 at Exit 18, you have to cross a four-lane highway to head toward the Post Road. State Police: What’s banned on the Merritt Parkway? 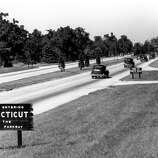 When the Merritt Parkway was designed in the 1930s, the plans called for an Exit 43. 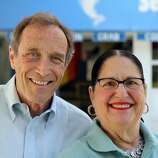 It would allow access to a proposed 4.5-mile roadway called the “Sherwood Island Parkway,” according to Steve Anderson, who runs a site called NYCroads.com. 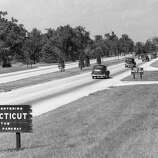 The interstate hadn’t been built yet, but the proposed parkway would offer a link to Route 1 as well as Sherwood Island State Park and Long Island Sound. Residents in both Westport and Fairfield did not like the idea. The residents were successful, and “No Man’s Land” was born. Three decades later the Sherwood Island Parkway plans were resurrected by the Regional Plan Association but again, it never came to be.